The spookiest Funko Force figures yet! 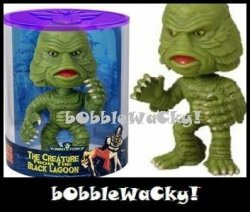 Choose from the individually packaged Creature From the Black Lagoon, Dracula, Frankenstein or Werewolf! Or save and get the complete set available in another listing! Funko Force monster figures are approximately 5 inches tall presented in a clear cylinder with colorful packaging material. Important Note: Choose your favorite monster at the drop-down menu above: Creature From the Black Lagoon, Dracula, Frankenstein or Werewolf! To select 2-3 monsters, choose one so that it appears in the shopping cart, then return to the item description and select a different monster, and so on.